Las Vegas North Premium Outlets® features 175 designer and name-brand outlet stores offering savings of 25% to 65% every day including Coach, Kate Spade New York, Michael Kors, Neiman Marcus Last Call Studio, Nike, Saks Fifth Avenue Off 5th, Tory Burch and many more. Visit our brand new full service sit down restaurant, The Cheesecake Factory. For a complete list of stores at Las Vegas North Premium Outlets, please click here. Please note, all shops listed may not be available; please call Las Vegas North Premium Outlets prior to visiting for information about specific shops. 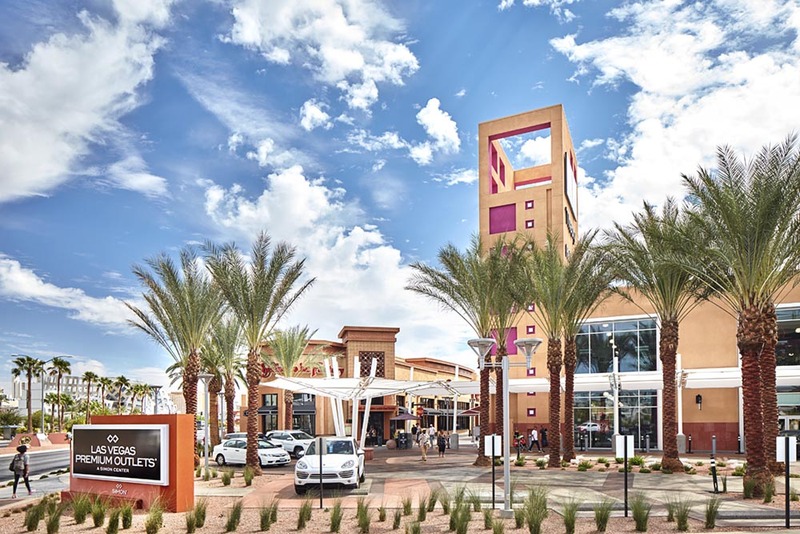 Las Vegas South Premium Outlets offers more than 145 outlet stores including your favorites like Michael Kors, Coach, Movado, Armani Exchange, Polo Ralph Lauren, and many more. Enjoy an assortment of delectable dining options at one of the available restaurants or grab and go stations while shopping for an experience that is truly unlike any other. For a complete list of stores at Las Vegas South Premium Outlets, please click here. Please note, all shops listed may not be available; please call Las Vegas South Premium Outlets prior to visiting for information about specific shops.